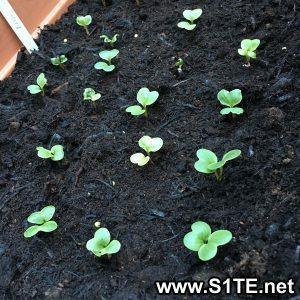 Growing Radish in Containers or Pots / Radishes How To Guide & Tips? 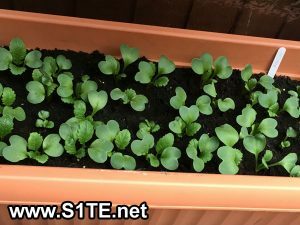 / Gardening & Growing / Growing Radish in Containers or Pots / Radishes How To Guide & Tips? Fill your container with the seed and cutting compost and press it down firmly and water well. This will give your radish seeds the best start they can have. Next, Simply place your radish seeds 3cm apart in your container. Ideally if you can follow a grid like pattern. Above is a photo of the radish seeds starting to show through after 2 weeks. 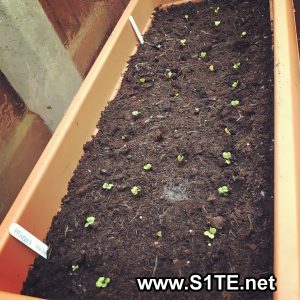 They are placed in a unheated greenhouse which is running between 2 – 10 degrees as its Late February. Remember to keep watering the radishes while they grow over time. 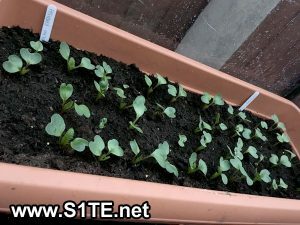 The radish seeds are now growing well and starting to look like true radishes. Growing Spring Onions in Containers or Pots / How To Guide & Tips? Growing Onions in Containers or Pots / How To Guide & Tips? 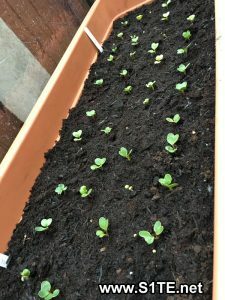 Growing Beetroot in Containers or Pots / How To Guide & Tips? Growing Tomatoes in Containers or Pots / How To Guide & Tips?